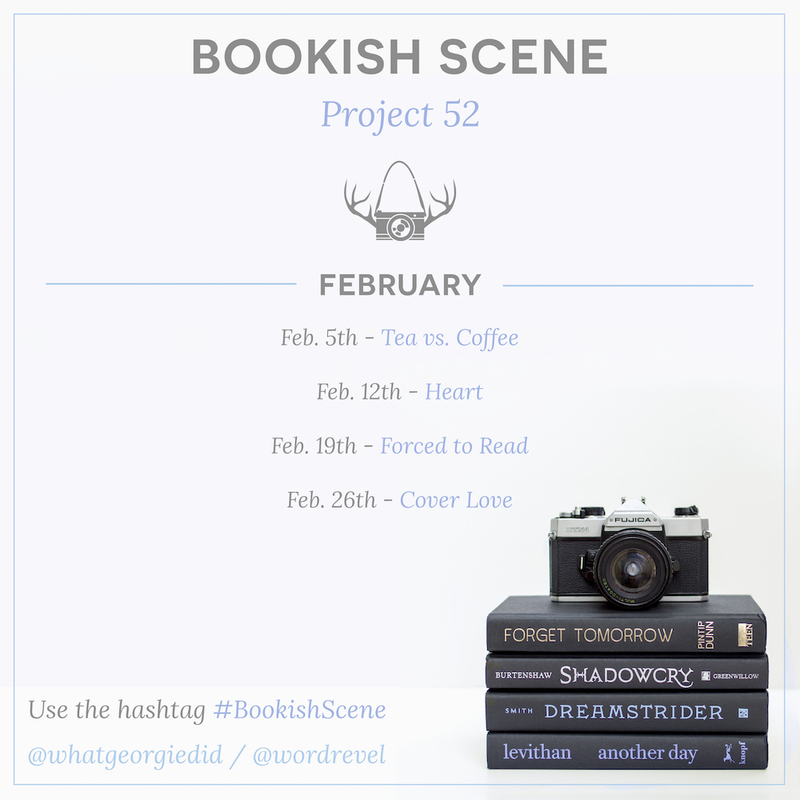 This week’s theme for BookishScene: Project 52 is „Tea vs. Coffee“ which is the perfect topic for me because I neither like tea nor coffee ? I’m not really into hot beverages unless it’s really really cold outside but then it’s always hot chocolate or cappuccino for me. Since I don’t like drinking tea or coffee I had to get a little creative for this week’s picture, so I stole a teabag at work and if you spot any bubbles in the cup of coffee then it’s probably because my coffee is actually Coke ? 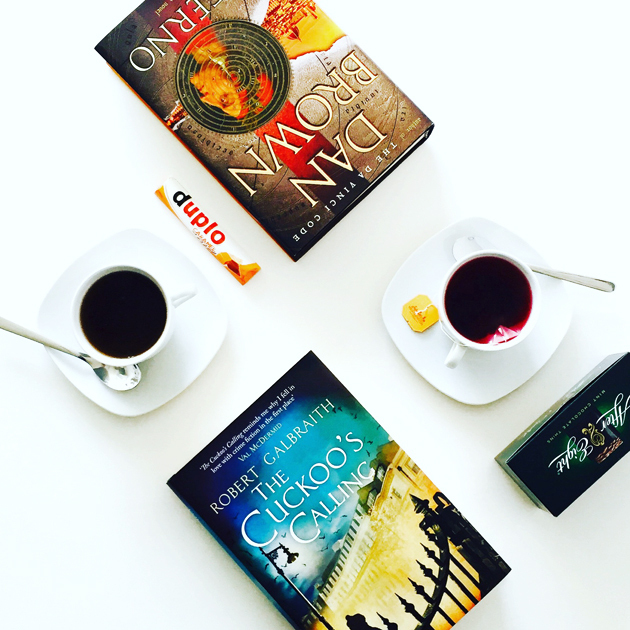 I tried to find some books that would match the „Tea vs. Coffee“ theme but I couldn’t think of any of my books where either one or the other would play a major role, so I rather turned my pic into a little battle of the tea nation England and the coffee nation Italy and picked Robert Galbraith’s „The Cuckoo’s Calling“ which is not only an amazing crime novel but is also set in London. For the coffee side I chose Dan Brown’s „Inferno“ which is mostly set in the city of Florence. I’m glad I’m not the only one who doesn’t drink coffee, haha. I’m even more boring (weird?) than you are, though, because I don’t drink pop, either. 😛 But I could definitely go for some hot chocolate!